I suppose it shows the importance of getting the full picture. On one level, yesterday's British Grand Prix was an exciting and eventful one. It had battles up and down the field that you couldn't avert your eyes from. And it featured an exciting finish with one fine hardy driver chasing down another for the win in the final corners. And yet that's not even the start of it. Those facts outlined in the opening paragraph you feel will be far from top of mind when the 2013 British Grand Prix is recalled, at least in the days and weeks to come. And the matter is a familiar one: yes, dear reader, it's all about tyres. In the Silverstone race there were repeated tyre failures, nay explosions, for competitor after competitor. First leader Lewis Hamilton's rear left tyre went, then Felipe Massa's, then Jean-Eric Vergne's. And with each failure the sense of trepidation, the sense that we were entering some kind of nightmare, increased. Later Sergio Perez's left rear was to go too, and in between times the front left tyre of Esteban Gutierrez failed in similar style. 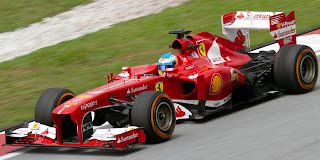 They of course also followed from a close to identical failure for Perez in Saturday morning's practice session. The debris strewn after the first three failures resulted in a safety car, and never in my life did I think I would ever be so reluctant to see green flag racing subsequently. The threat of further failure left a haunting chill over proceedings, all with uncomfortable reminiscence of Indianapolis in 2005, one of the darkest hours in a sport not short of dark hours. As it was, the race was completed and one way or another we got away with it. But it could have been much worse: Nico Rosberg and Fernando Alonso both stated after the race that they had tyre failures too just before pitting, Sebastian Vettel's tyres from the first stint were also found with cuts. More pointedly, no one was hurt in any of the failures, and in particular Perez's failure which took in front of several cars - the Mexican's McLaren squirming at 200mph and all sorts of rubber being spat behind - could easily have resulted in carnage akin to a plane crash. For a time as failure followed failure a red flag was a genuine possibility, confirmed by Race Director Charlie Whiting later. If that had happened it would have ranked right up there in the sport's most inauspicious moments. But while the broad subject was familiar, the detail this time was actually not so. In Pirelli's defence, for all of the 'typical Pirellli' recriminatory comments during the race as if this had happened several times already, what happened was very different to what we've seen before. The failures earlier in the year have been the tread detaching, but with the tyre staying inflated. In response, there had been changes only to the bonding method (and Pirelli's Paul Hembery has confirmed the failures were not to do with that). But in the Silverstone race, as with Perez's failure in Friday practice, all were full-scale tyre explosions. There's even been a theory, advanced by Gary Anderson and others, that the failures are to do with a Silverstone kerb rather than the rubber. Hembery confirmed that whatever the case all of this was caused by 'something new' – perhaps we should all cool our jets until we know what. Further, it's not necessarily all related to the current approach of 'designing in' tyre degradation, as after all this was the approach in 2011 and 2012 by Pirelli and failures then were very rare. And anyone who recalls the infamous Indianapolis race mentioned knows that even when a tyre company has no restraint it can still turn up to a race meeting with a product not suitable for the job (I had to laugh at the multitude of 'bring back Michelin' comments I encountered during and after the race). And to return to a familiar subject: F1 hardly can be said to be helping Pirelli much to get it right. So what can be done, in the short term at least? Not much, seems the best answer: Pirelli isn't likely to come up with new tyres in before the start of Friday practice in Germany in a few days' time; there seems no time to manufacture new ones and alternative tyres are unlikely to be just sitting in a warehouse somewhere. But it goes without saying that explanations, and learning points, need to be provided and soon. 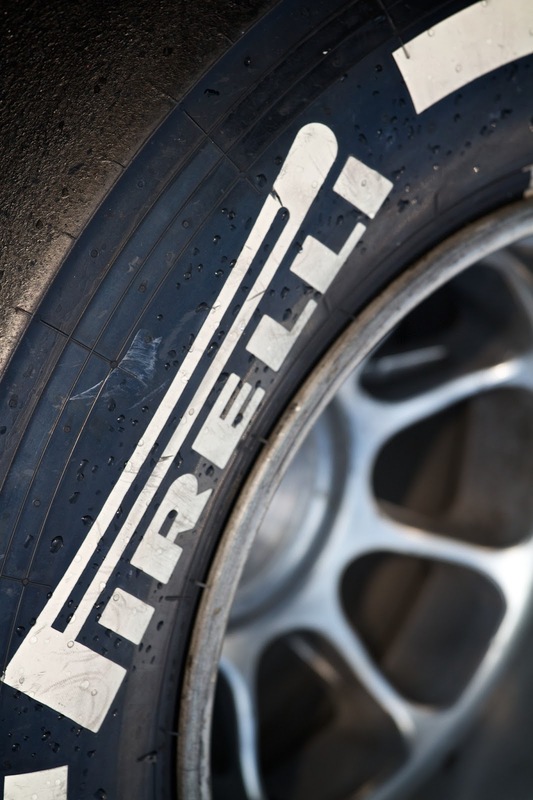 And FIA president Jean Todt has invited Pirelli to attend next week's Sporting Working Committee meeting at the Nurburgring to seek to do just that. And, oh yeah, we need to talk about the race itself. Well, it all showed that if nothing else F1 can never be said to be predictable. On race morning all assumed that the race was Sebastian Vettel's: the Mercs occupying the grid’s front row ahead of him would fall away over a race stint, particularly as temperatures were higher than on previous days. But in the early laps Lewis Hamilton showed no intention of selling his hide cheaply to Seb (who’d cleared Nico Rosberg at the start), staying just out of his reach. Then Lewis's tyre failure handed the lead to Seb, and it looked like it would be another day in which things would flow in Seb's direction, as he was in command in that way we've grown accustomed. Rosberg was always close by, but even he admitted afterwards that he had no chance to catch and pass. But then astonishingly it did change for Seb, and equally astonishingly it had nothing to do with the tyres. It was his gearbox, which packed up with 10 laps to go. This gave the race to Rosberg. And it was a worthy win, while there was an element of inheritance about it he was on the pace all weekend and in the right place when it mattered, which you can't really argue with. Rosberg was at the point of taking the lead far clear of the Raikkonen-Webber-Alonso scrap over second. All of these three had undertaken fine, combative drives after adversity (Webber had yet another stinky start, as well as first corner contact with Romain Grosjean that necessitated a front wing change at his first stop). There awaited another twist though. Vettel's parking of his stricken car on the pit straight necessitated a safety car. Rosberg, Webber and Alonso pitted for fresh tyres one more time, Raikkonen and others didn't. Afterwards we had seven lap sprint of green flag racing, and while Webber had sank to fifth and Alonso eighth after their stops, pitting proved to be the way to go nevertheless as both picked off cars ahead with ease, displaying the impeccable judgement we expect from the pair. They salvaged second and third places respectively, and in Webber's case a win might have been his with a lap or so more, as he tore chunks out of Rosberg's advantage as the end approached. But Nico let out the rope as much as dared, and won the day. And despite being stone last and close to a minute down after his ill-fortune with his tyre, Lewis Hamilton somehow managed to rise from the dead, finishing fourth and hounding Alonso to the last as he did so. This left a rueful Kimi trailing in fifth – he reckoned second would have been 'pretty easy' had he like his rivals taken on new boots under the last safety car. And as it transpired there was one last one last twist, as pushing two hours after the chequered flag we discovered that Rosberg was being invited to talk to the stewards for not slowing under yellow flags, with any resultant time penalty likely to cost him a win and several other places at the same time. In the end, he only got a reprimand, which given he'd set a purple sector (meaning the fastest of anyone up until that point) under double-waved yellows, which probably means marshals are on the track, seems a risible sanction, as well as again inconsistent with previous punishments for similar offences. Quite why it took the stewards so long to notice it too is another good question. But given everything else that had happened, most people's gut reaction afterwards to this was to be grateful that the result stood. Among it all there seem a few broader lessons for the championship chase. For one, the result represents a major save for Alonso and Ferrari, gaining 15 points on Vettel when it looked for all the world that he was going to lose another bundle. He'd have bitten not just your arm off if offered that before the race, but perhaps your head and torso too. Yet Alonso was realistic afterwards, noting that he had 'mixed feelings' as his pace was 'not good enough' and there is 'a lot of work to do'. And this was a track that was supposed to suit the F138. Also, whisper it, the Mercedes appears to be getting its tyre life problems licked finally, some two-and-a-bit years after it started to experienced them. OK, the medium and hard compound selection, a conservative one, suits the team, but few tracks take more out of the tyre than this one (we saw that) and the Merc was able to keep its pace up throughout. Maybe, just maybe, there is an outside shot at championships too. How Rosberg must regret the points lost to unreliability earlier in the year. Yet it was all a rather messy, bitty and frequently unpleasant race, and one that all told will struggle to linger in the affections of many, and to be remembered in terms of who won and what it means for the title race. Webber not for nothing said it was akin to Russian Roulette. Massa felt that he was proceeding 'in the hands of God'. Let's hope that we don’t see this again. A very eventful GP, I thought they'd Red Flag it after Vergne's tyre pulled a vanishing act, but somehow the show went on. Hamilton looked like he had the pace to keep the Victory , though I wondered whether the off-line positions were somehow hampered - considering both Webber and Rosberg had slow starts (Although Lewis's BFF in position 6 did fairly well). Here's hoping this mess gets resolved quickly, as JB put it, when those tyres burst, drivers behind are exposed not just to rubber but bits of metal. Nice ! How many races do you go to each year ? Hi Seamus. Yes, it goes without saying that the failures need to be stopped, and it's good to see today that Pirelli's acting quickly (and is seen to be acting quickly). I'm still intrigued to find out what precisely caused the Silverstone failures, because as I said they seemed very peculiar, very different to those earlier in the year. I guess that'll emerge eventually. I think Gary Andersons theory is spot on, it was the step on the kerb that was causing the cuts and therefore weakness to the tyres. There are several solutions in my view, inspect all the kerbs and remove offending sharp corners etc,the track personnel who paint the kerbs could do this, strengthen the tyre at the point where it goes from the vertical to horizontal plane probably ruining many of the tyre characteristics or what about instructing the drivers to drive on the track that is clearly defined by the white lines. Yes, I think the kerb theory is an interesting one, and they could well have played a part. I find it hard to believe that the explanation is *only* the kerbs though, as the kerbs hadn't changed from previous years, plus they caused no problems in GP2 etc. I'd say it seems more likely that the explanation is the kerbs plus other factors coming together, in an imperfect storm. I was at Copse on Saturday when the Pace Car with either Whiting or Blash stopped along with another Mercedes track car full of officials and the group spent a long time looking at the kerb in one particular point, this was some time after the Porsche qualifying and the beginning of F1 qualifying. I wonder if they did the same thing at other points around the track during this period of time? Were they aware of a potential problem already? Hi Dominic. Who knows? Though I would say in the defence of Whiting/Blash that them inspecting kerbs prior to F1 sessions is not all that unusual, so it's possible it was something else entirely that they were looking at. I recall being at the Hungarian GP in 2010, and in front of the grandstand I was sat in Whiting and Blash spent a long time poking around at a kerb on the exit of the last corner.